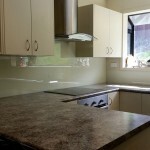 Absolute Glass designs and makes glass splashbacks at Lower Hutt, Wellington. They’re a fine feature for any kitchen or bathroom – in fact glass splashbacks suit any food preparation or wet area of your house. Glass splashbacks – a smooth, seamless surface that protects you against cooking or water splashes while looking modern and clean. Glass splashbacks need no joints or grouting. Unlike tiles, the glass is easy to keep clean and free of mildew and there are no ridges or crannies to collect dirt. Think artistically – Absolute Glass supplies and install custom back-painted glass splashbacks to suit any space and colour scheme. Absolute Glass can put a scene of your favourite beach, landscape or city onto the glass. Any other workspace in which you might need one! 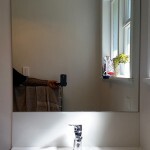 If you have an irregular-shaped area in need of a splashback, e.g. 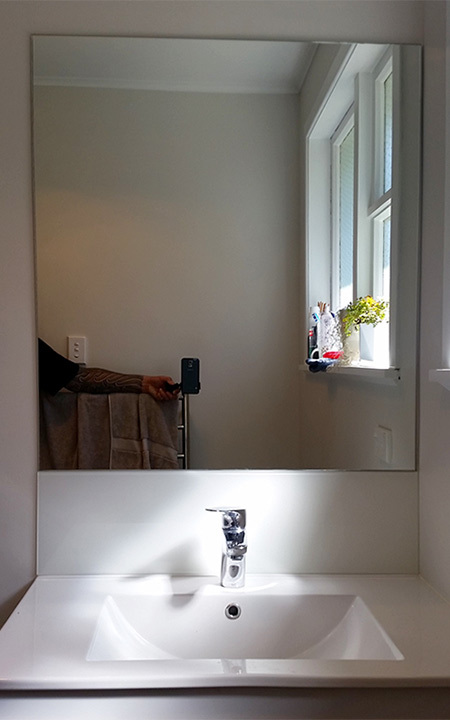 underneath a curved range-hood? That’s no problem. 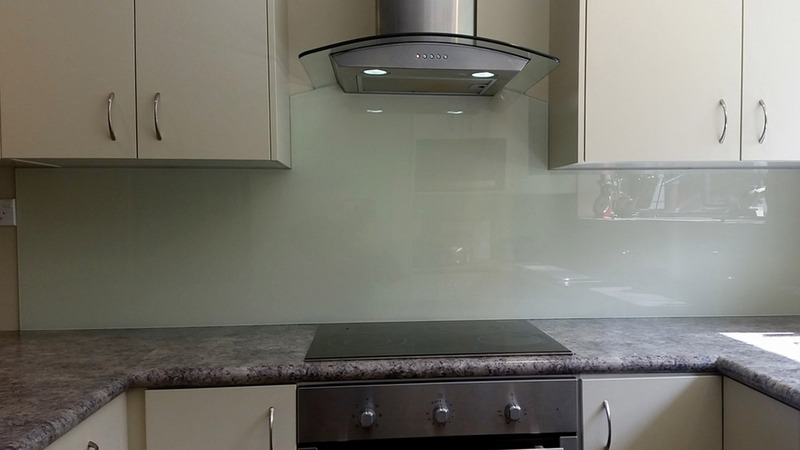 We can make a template and design a custom-shaped glass splashback – manufactured and installed for you. 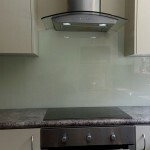 We make our glass splashbacks using the highest quality glass. We use toughened safety glass to ensure they meet New Zealand safety standards. 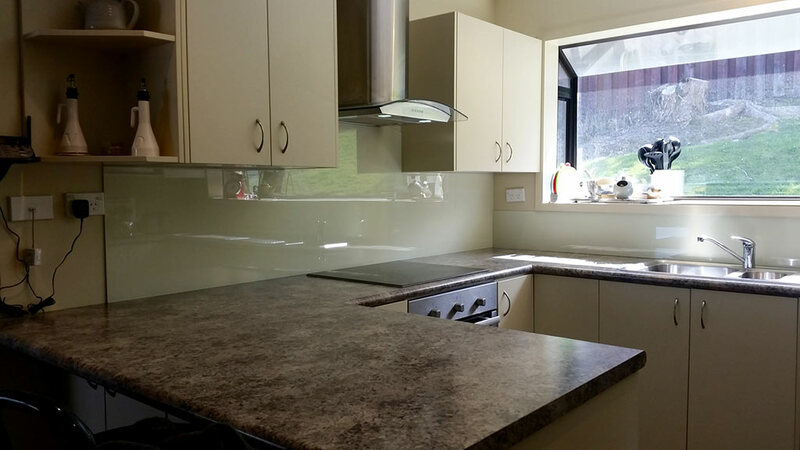 Please see the pictures below for some examples of glass splashbacks we have installed recently in the Wellington region.